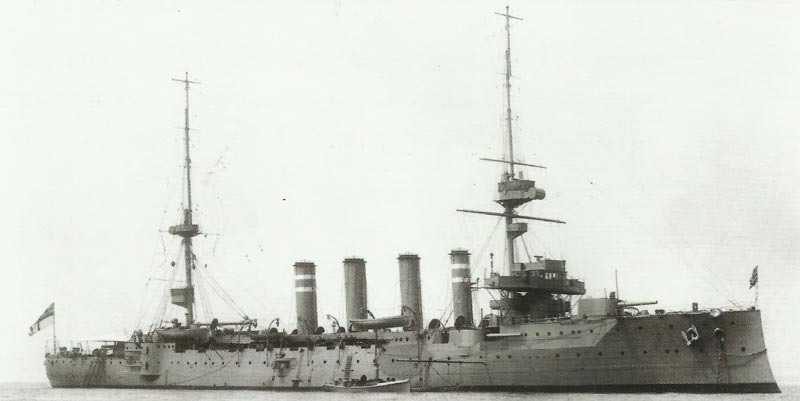 Armoured cruiser ‘HMS Hampshire’ was sunk by a mine laid by ‘U75’. Only 12 of those aboard survive. Atlantic: Russia-bound cruiser HMS Hampshire sunk by mine from U75 (Beitzen) northwest of Scapa Flow. Careless minesweeping, stormy seas and inexplicable failure of Grand Fleet C-in-C Jellicoe and subordinates to expedite rescue efforts dooms War Minister Lord Kitchener and staff; 12 survivors. Aegean: Lieutenant-Commander JL Myres RNVR (Royal Naval Volunteer Reserve), ‘Blackbeard of the Aegean’, leads 25 Greek irregulars’ raid on Karada (Anatolia); 15 Turk soldiers killed or wounded. Britain: War Minister Lord Kitchener drowned. Verdun: German attacks repulsed between Fort Vaux and Damloup. Brusilov offensive – Pripet: Kaledin‘s Eighth Army breaks through Austrian Fourth Army on 16-mile front, crippling 3 Austrian divisions. Trentino: Austrians renew offensive (until June 15) but attacks south and southwest of Asiago repulsed a Sassari Brigade reinforces Alpini troops (until June 7). Arabia: ARAB REVOLT. Sherif Hussein of Mecca begins revolt outside Medina with 50,000 Arabs (under 10,000 rifles) against 15,000 Turks. His son Feisal repulsed from Medina (June 6) as British Arab Bureau lands at Jeddah. East Africa: Skirmishing at Kondoa Irangi (June 5-8); Smuts inspects 2nd Division (1,031 sick by June 3) there until June 7. East Africa: 2 Royal Flying Corps aircraft join South Africans at Kondoa Irangi. Germany: Kaiser tells flagship crew ‘The spell of Trafalgar is broken’; cables Krupp from Wilhelmshaven to applaud Battle of Jutland guns and armour performance. Bethmann tours South German states to get food control policy accepted. Russia: Duma debates supply shortages. Britain: First police raid on Non-Conscription Fellowship; B Russell fined and sacked from Cambridge fellowship.